Christmas Eve noms! 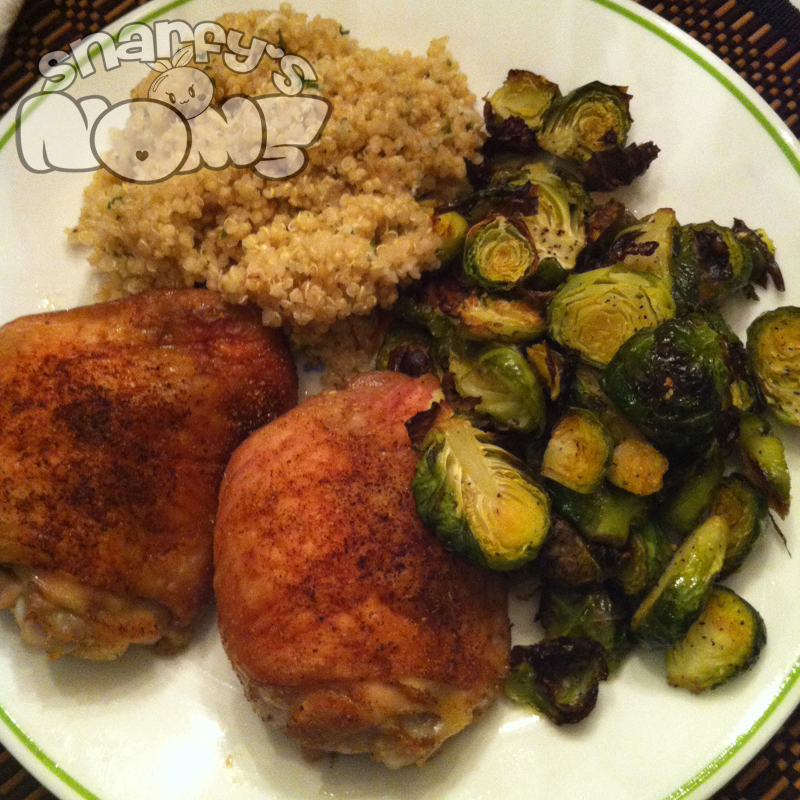 I roasted some chicken thighs and Brussels sprouts and then made some quinoa. I jazzed up the quinoa with some lemon juice, parsley, garlic, and grated pecorino romano. OMG so so so so good.